Without wearing something that makes you feel like you’re dressing up in someone else’s clothes, your goal is to mirror the unofficial dress code of your potential employer so that an interviewer will be able to easily “see” you as part of the team. (This is especially true for any role where you’ll be publicly representing the organization (for example, on the reference desk or working with clients). How do you know what the unofficial dress code is? If it’s a local organization, go hang out and see what employees are wearing. If you have a chance to do an informational interview with the organization or one similar to it, check out what people are wearing. Another alternative is to ask people in your professional network whose judgment you respect what they would recommend for that specific type of organization (for example, the unofficial dress code in an academic library is quite different from that in a corporate law library). This is also a great question to post to a relevant LinkedIn group for recommendations from both hiring managers and successful job applicants. If you feel your LIS skills may outweigh your fashion smarts, there are some basic choices that will always be safe. 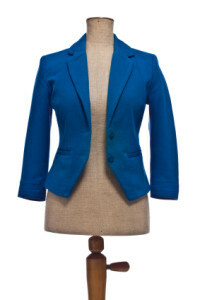 A suit with a conservative top (shirt, blouse, etc.) Depending on how formal the organization is, a tie or modest jewelry may be in order. A suit may include either slacks or a skirt. Slacks, top, and a sweater, blazer, or sports coat. A simple, unfussy dress with a jacket and simple jewelry or a low-key scarf. For women, the decision regarding whether to wear heels or flats should be based on 1) personal comfort and/or coordination and 2) the unofficial dress code. However, if the organization expects women to wear heels and this doesn’t work for you, then by all means wear flats to the interview so you make clear that this will be part of your regular work wardrobe. Second, in general for your main pieces go with solid neutral colors that flatter you – for example, black, gray, navy, brown, plum, or taupe, with additional color as your fashion sense suggests. When in doubt (and again, in general), dressing more conservatively is always a good choice if you’re not sure what the expectation will be when you first meet your interviewer(s). Third, make sure that whatever you’re wearing is clean, ironed, in possession of all its buttons, and has an intact hem (no safety pins allowed). Your goal is to give the impression of a professional who is “pulled together” not only in your physical presentation but also, by reflection, in your thinking and actions. A great quote here is “never give someone a reason to doubt your judgment,” and this pretty much sums up how you want to think about your interview outfit. There are some people who have such an extraordinary, delightful sense of personal style that their gift is as much a part of their personality and professional persona as their degree and skill set. If you are one of those amazing individuals, whatever you decide to wear will be just perfect, as always. If you’re applying for a job where your level of personal imagination and creativity will drive your success, you clothing choices can be much more creative than would e appropriate for a typical job interview. Lastly, if you’re applying for a job where you have a sense that your personality may not quite be a fit for the organization, it might be better to “dress for your personality” when you do your interview so both parties are clear about who you are and will continue to be on the job, and will have a choice from the get-go as to whether or not that works for both of you.